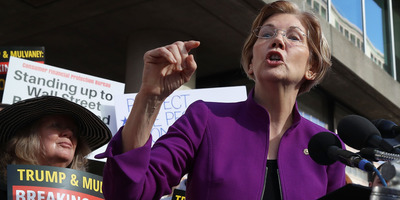 Mark Wilson/Getty ImagesDemocratic Sen. Elizabeth Warren of Massachusetts. Sen. Elizabeth Warren of Massachusetts on Thursday issued a fiery statement against John Kelly in response to a disparaging email he wrote about her in 2017. In the email, Kelly, then the secretary of homeland security, described Warren as “an impolite arrogant woman” amid the fallout from President Donald Trump’s travel ban. In the February 2017 email, obtained by BuzzFeed News through a Freedom of Information Act lawsuit, Kelly, then the secretary of homeland security, mentioned he had the “absolutely most insulting conversation” with Warren regarding President Donald Trump’s first travel ban. “She immediately began insulting our people accusing them of not following the court order, insulting and abusive behaviour towards those covered by the pause, blah, blah, blah,” Kelly wrote, referring to a temporary restraining order on the travel ban. Warren, who took part in a demonstration over the ban at Boston’s Logan International Airport, personally reached out to Kelly and demanded answers about the situation, BuzzFeed News said, citing an anonymous congressional source. Kelly reportedly did not respond to Warren for a week and later denied she had tried to make to contact with him. The statement said Warren continued to press Kelly for a direct line to his office and eventually obtained his mobile phone number. The statement continued scolding Kelly, however, disparaging his role as Trump’s chief of staff, a position he took on after Reince Priebus was ousted in July 2017. “He can’t even get Donald Trump off Twitter, and as far as I can tell, that was his main job description when he took on the role of White House chief of staff,” the statement said.